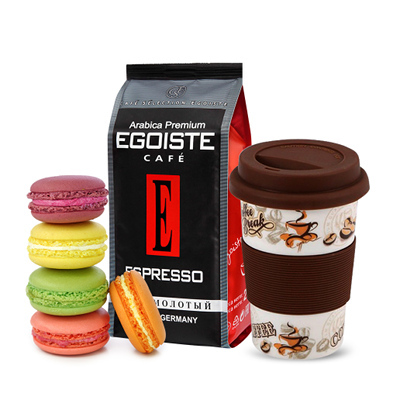 Make your lady�s morning enjoyable, full of energy and sweetness with this wonderful coffee set! 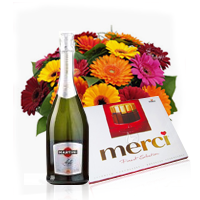 If you can�t decide whether to send your lady flowers, candies or perfume, why not combine all three by sending her this unique gift set. 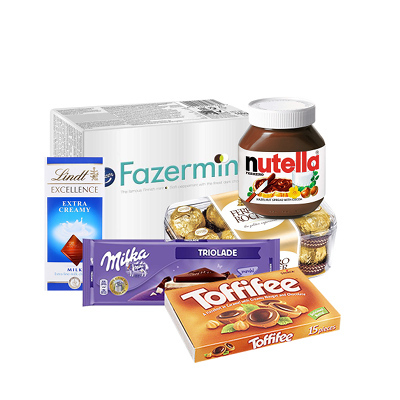 Tantalize her taste buds with the delicious Raffaello candies. Sensualize her sense of smell with the Puma yellow perfume. Show your eternal love with white roses. 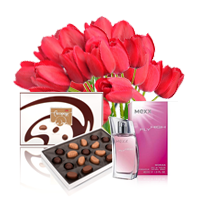 Chocolates, tulips and perfume� Could there be a more romantic combination? We don�t think so and neither will your lady. Appeal to her heart with the tulips. Charm her taste buds with the box of assorted chocolate candies and make her feel desirable with the Mexx Fly High Perfume. 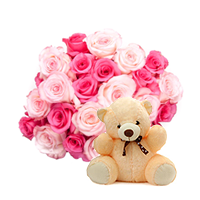 Why send a solitary rose when you can send your lady roses, a teddy bear and Tobleron chocolate? 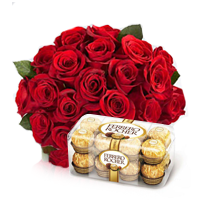 Convey your eternal love to your loved one by appealing to her most poignant senses � touch through the softness of the teddy, taste through delicious Tobleron and smell through delicate roses.